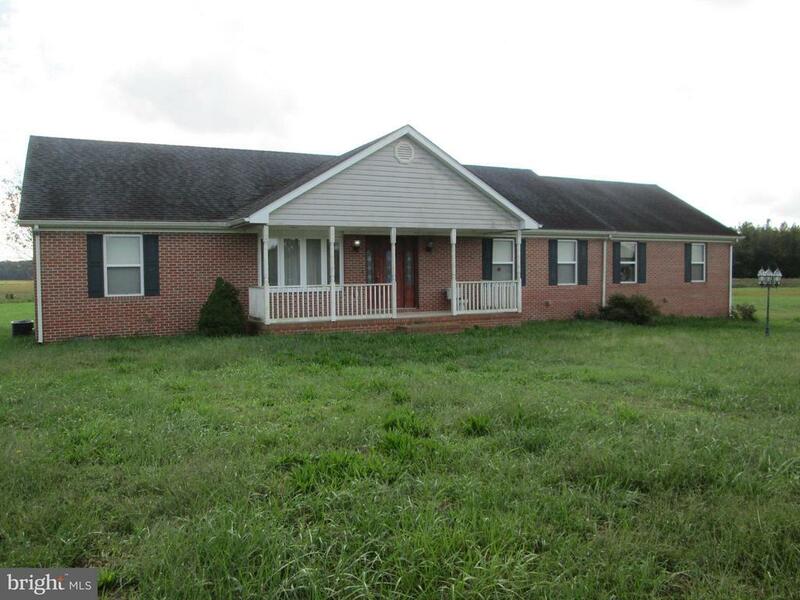 All Federalsburg homes currently listed for sale in Federalsburg as of 04/23/2019 are shown below. You can change the search criteria at any time by pressing the 'Change Search' button below. 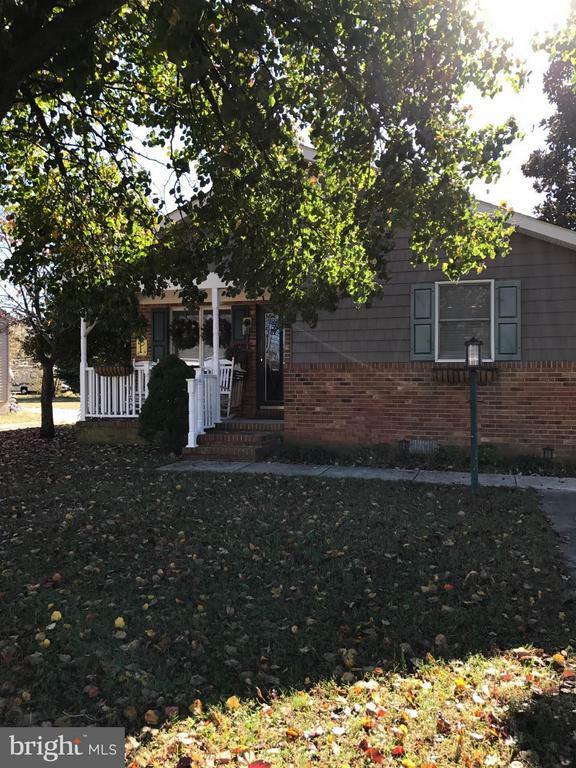 If you have any questions or you would like more information about any Federalsburg homes for sale or other Federalsburg real estate, please contact us and one of our knowledgeable Federalsburg REALTORS® would be pleased to assist you. "TOP TIER POULTRY FARM ON 35.75 ACRES. 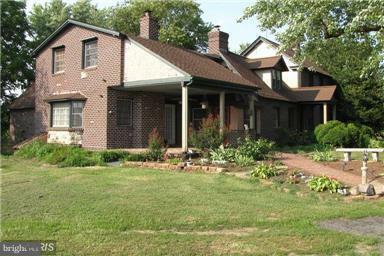 W/3 BEDROOM 2 BATH RANCHER. 4 X 500 FT. POULTRY HOUSES, TWO MANURE STORAGE BUILDINGS, GENERATOR AND 40 X 60 IMPLEMENT SHED." 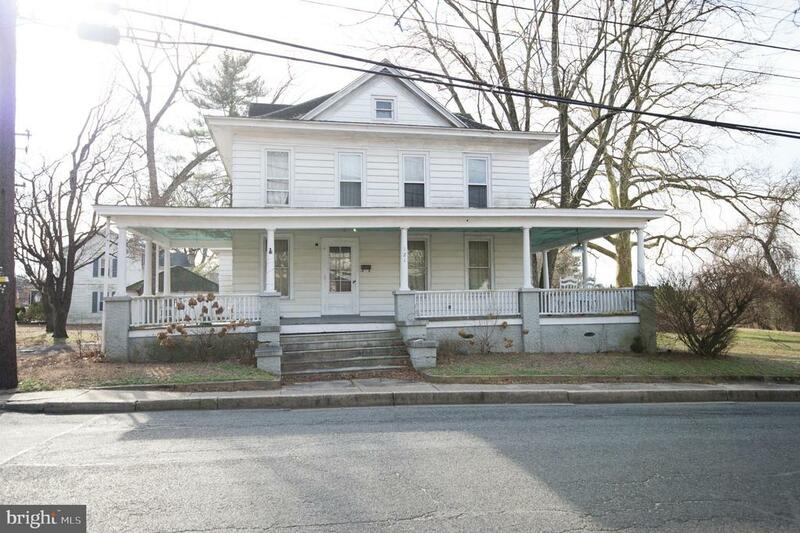 "Completely remolded in 2013, immaculate, custom kithcen, 2 full baths, large utility room and hardwood floors"
"Charming colonial style farm house. 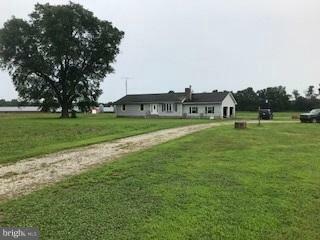 The property features multiple outbuildings including:carriage house w/upstairs studio ,barn/stables,tool shop etc....Great opportunity to make this your perfect getaway in the country. Fenced pastures and fields for horses or crops." "Acres of Eastern Shore Outdoor paradise. 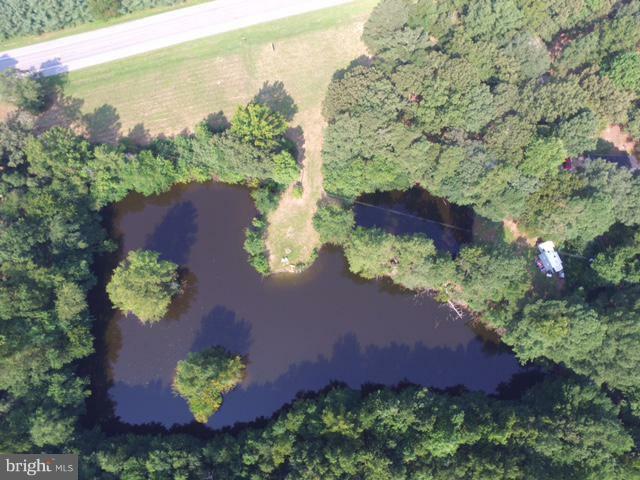 *Go Hunting out of your back Door *Huge 5+/- acre Pond naturally fed from underground spring with large mouth Bass, Crappie, Catfish. Hunt on the Remainder of this property is wooded with Deer ,Turkey and Water Fowl. House has 3/4 Large Bedrooms with a large studio/office. Also a detached 14 x 25 ft Building/ Office overlooking the pond. Formal Living room upstairs and family room down stairs. Open floorplan w Custom Kitchen/Dining opens to Living Room. 2 Year old Heat Pump*Septic was replaced in 2001. *Large 20x30ft Garage/Workshop with electric*Several additional Sheds for storage*Property would make a great Weekend Getaway Spot as well!" "REDUCED NEW PRICE with the this home on 4.862 ACRES. Seller willing to help with closing costs. Great Countryside Location. No town taxes." 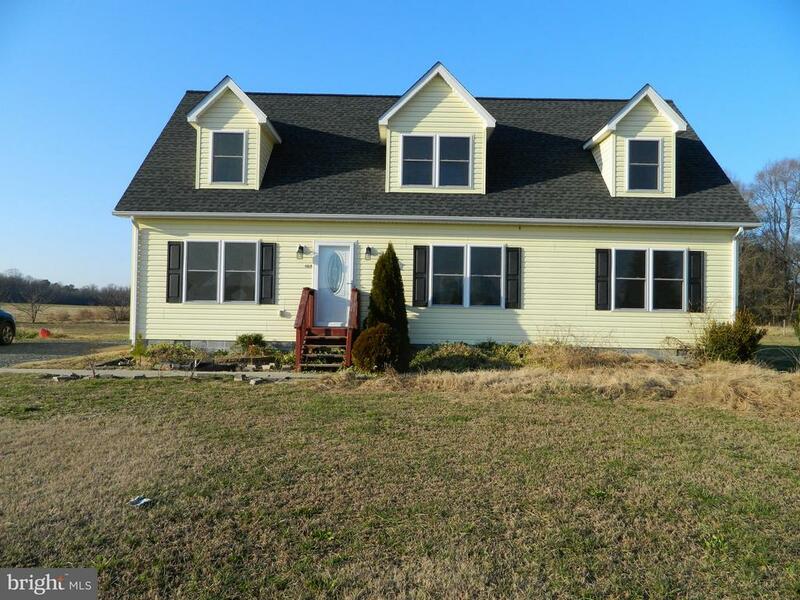 "Well built cape cod in a quiet rural setting surrounded by farmland. First floor is open and bright with a cozy pellet stove. Master bedroom suite on the first floor with 4 addition bedrooms and provisions for 2 baths on the second floor.Sellers are relocating and willing to provide a flooring allowance with full price offer. there is plenty of room for a growing family. Come put the finishing touches on to meet your personal tastes. 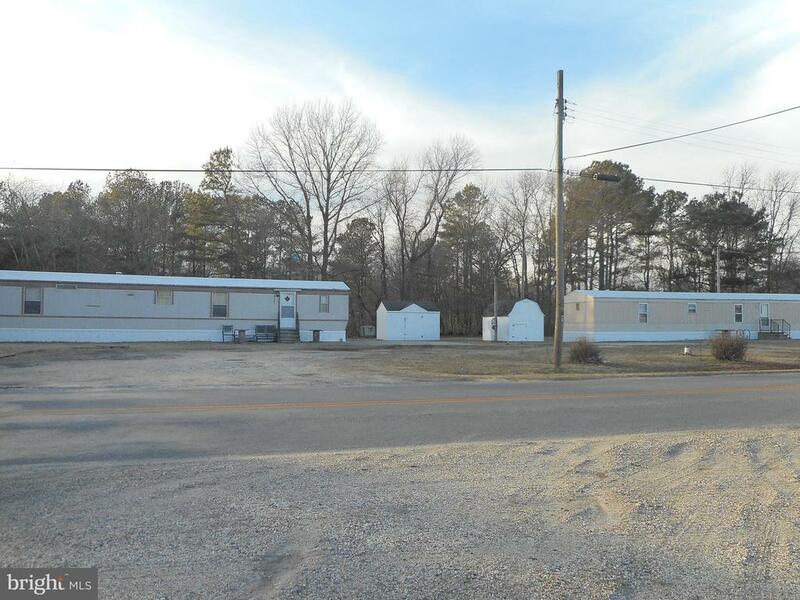 Adjoining 1.89 acre perced / fenced lot possibly available also." "Price reduced! This adorable home is truly a must-see. Enter to a large, beautiful dining room, large enough for ALL of you. The upgraded kitchen is a dream and boasts stainless appliances, beautiful granite counter tops, an eat in/breakfast area, and a spacious pantry. Master Bedroom with full bath and walk in closet/dressing room (over-sized is an understatement)! Cozy living room/study sitting room is separate from the Family Room, which boasts cathedral ceilings and TONS of space for gathering. From the family room, enter the Sun Room and enjoy the view of your private, cozy, fenced in back yard. All of that, plus a laundry room with plenty of storage, front load washer and dryer, and another entrance to the fenced in yard. You really need to see this one!" 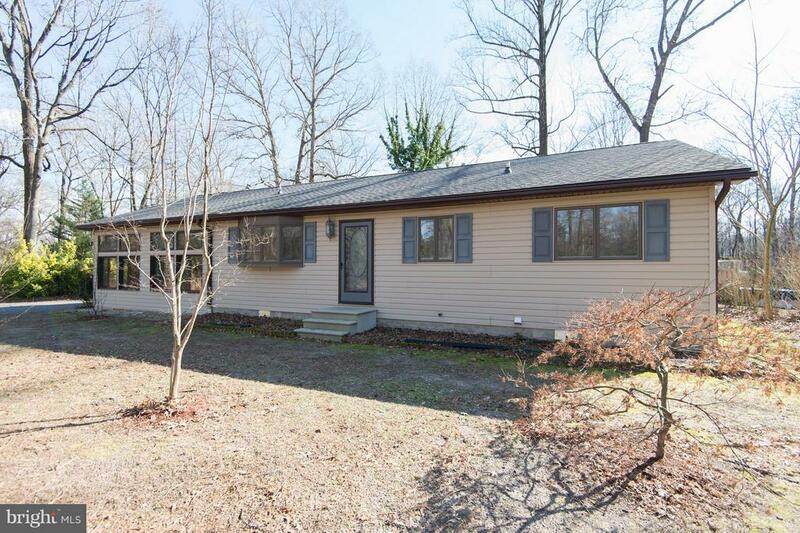 "Situated on a beautiful ,partially wooded lot sloping to a small creek , this home offers one floor living. 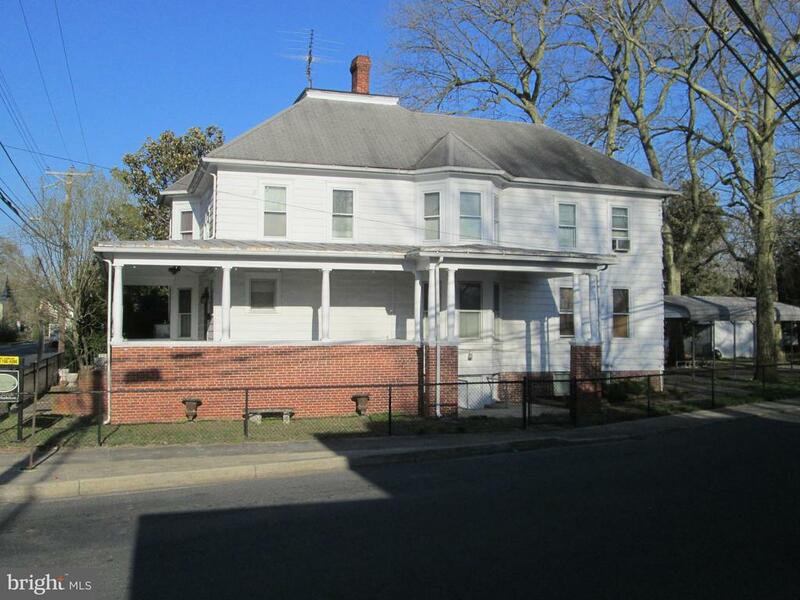 Large great room with a gas heater, kitchen with center aisle, stainless appliances and large pantry. Whirlpool tub. Master BR has patio doors to the deck. Several sheds and a carport. Recent roof. Includes seperate lot approved for another residence." 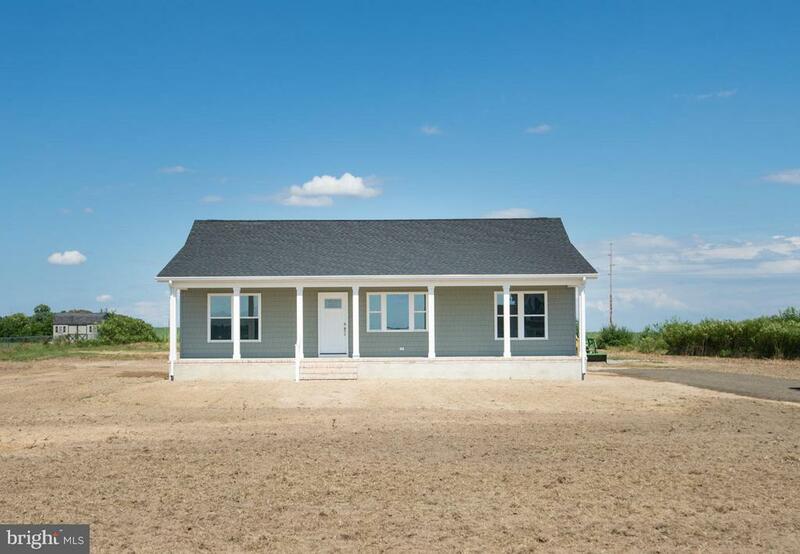 "TO BE BUILT 3 bedroom 2 bath rancher. These pictures are from a Hurlock home just completed in July 2018. Can modify this plan or bring your own to quote. Three lots left in the subdivision to choose from. Construction by Greg Koski Building & Construction, sale by McClain-Williamson Realty." "A COLONIAL TREASURE!!! 4 Bedrooms, formal dining room with crystal chandelier, beautiful mantel, 4 bay windows, closets galore, very interesting basement with walk out entrance. 2 detached garages, 1 bay and a 2 bay with overhead doors. 2 bay garage with 200 amp electric, air compressor. 7,000 LB HYDRAULIC ELECTRIC CAR LIFT." 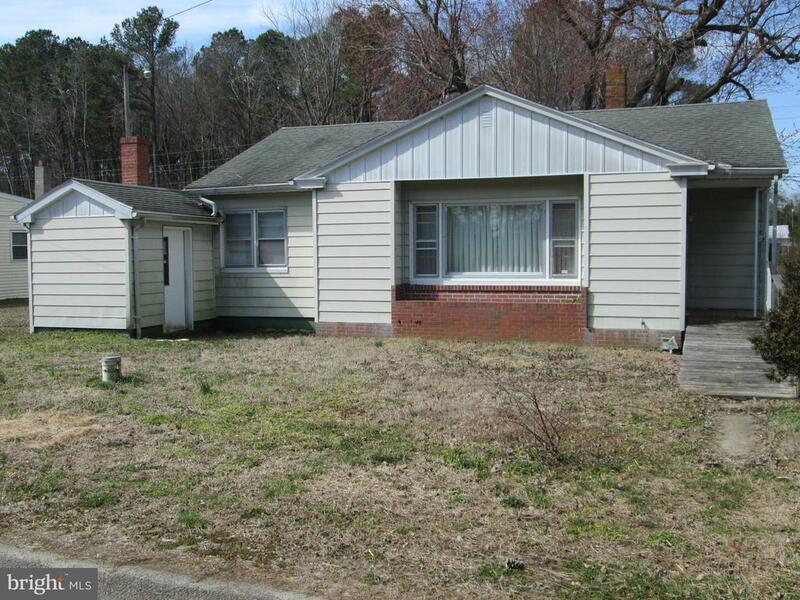 "Cute 3 bedroom 2 bath rancher on a quiet street. Hardwood floors, new windows and gas fireplace in living room. Sun room off of kitchen making it great for entertaining! Partially fenced in backyard with shed. 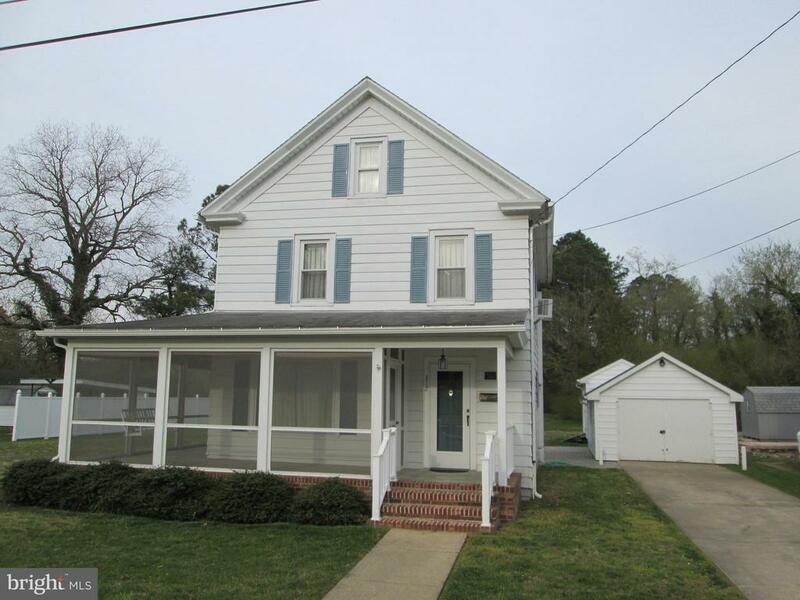 Perfect for first time homebuyer"
"Enjoy lovely water front views from the wrap around porch! Loads of charm in this turn of the century home waiting for your improvements. Wood floors and many architectural details in place. Large rooms. Very cool outbuildings and fenced yard." "Check out this freshly updated and well-maintained 3BR/1BA rancher situated at the end of a quiet cul de sac. Enjoy the open floor plan and new appliances, fenced-in backyard, freshly landscaped front yard, and it's two-car driveway! Shed is included. USDA financing also available to buyers!" 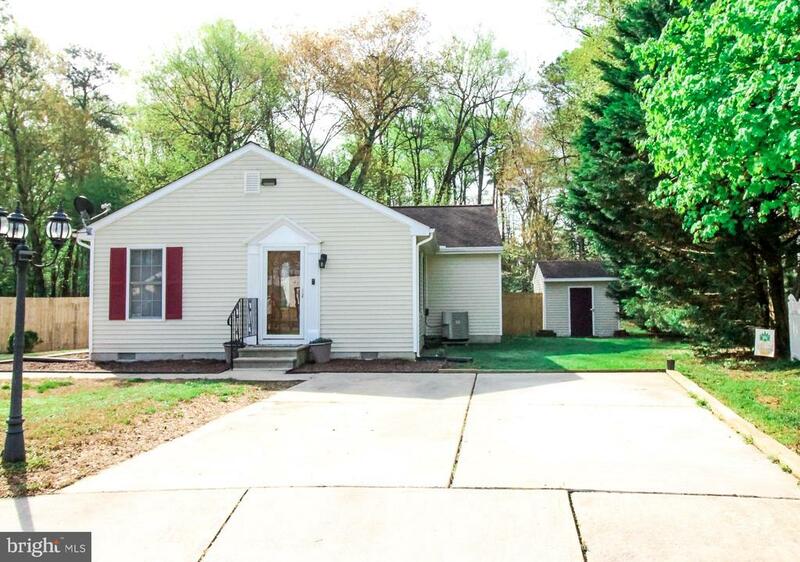 "Remodeled Ranch in a quite neighborhood. With new flooring through out, new appliances and to finish it off a great back yard." 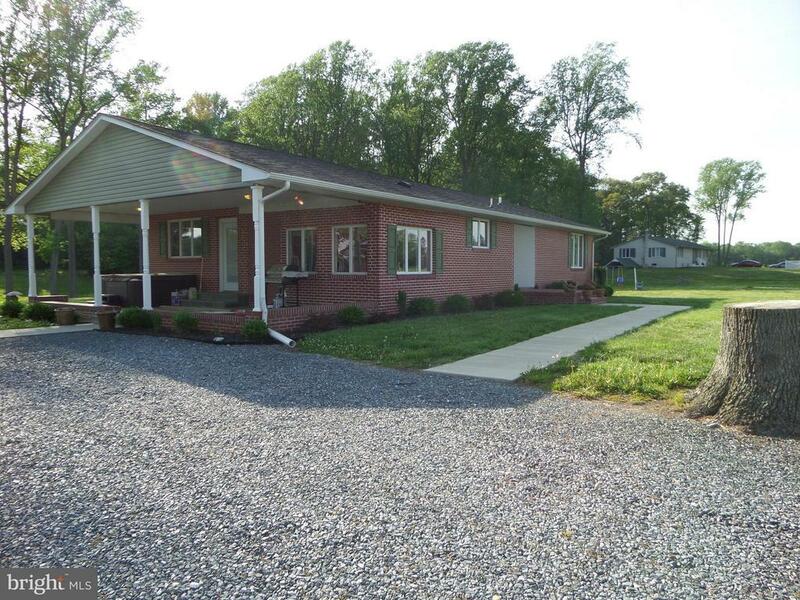 "Cute rancher in Federalsburg New carpet Nice large soaking tub - inground pool. 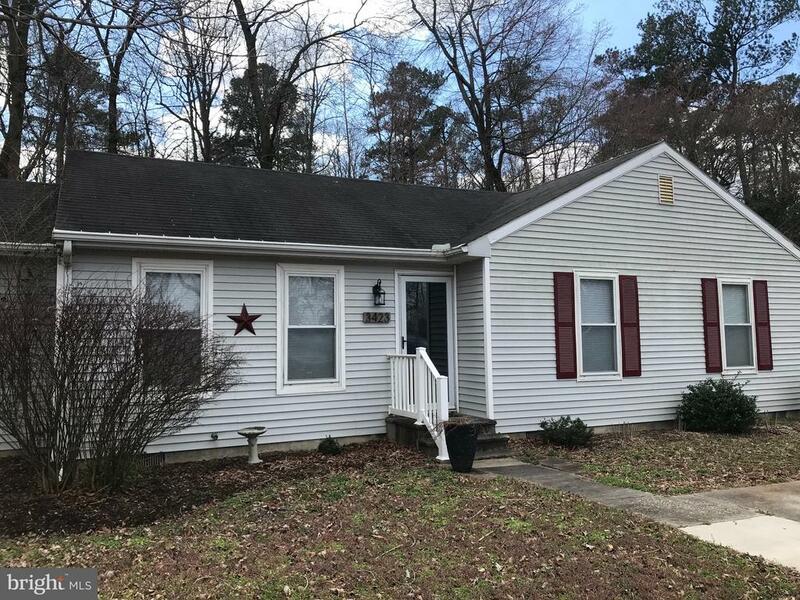 Neat as a pin Must see Offered AS IS and is eligible under the Freddie Mac First initiative through 2/19/2019- owner occupant buyers and qualified non-profits. Investor offers are eligible for review after 20 days of listing date." 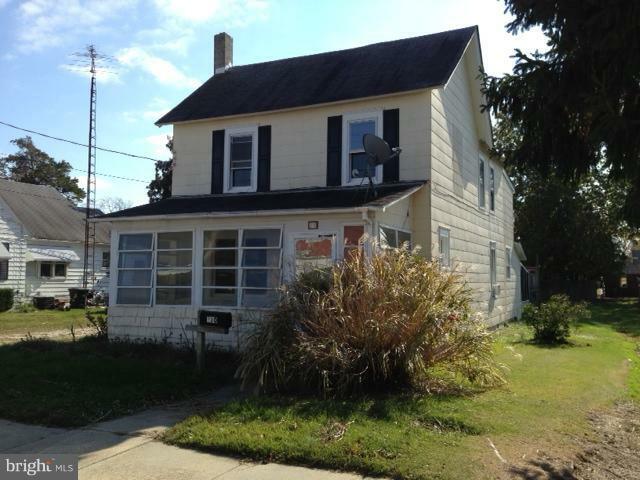 "Great location for an investor or a homeowner who wants to live in one unit and rent the other. 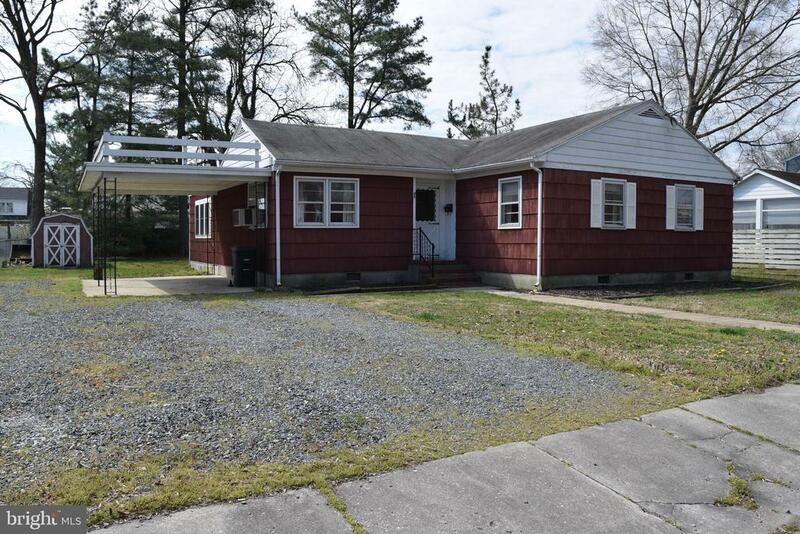 Located on almost an acre that is wooded in the back, with plenty of parking and close to downtown Federalsburg, Seaford and the marina and boat ramp." "What a Gem - A-1 Condition. First time offered. Full bath down and up. Large kitchen with dining area. Downstairs parlor could be used as a bedroom. Screened wrap around porch, detached garage, storage building, double lot included in this sale. $109,000." 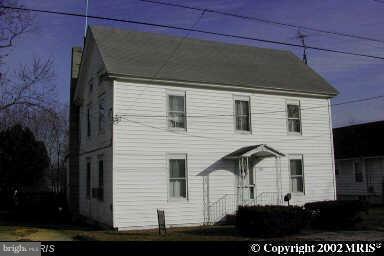 "Traditional 2 story on a nice town lot. Currently a rental." "Welcome to this very private one acre lot with 2 bed 1 bath home. Bring you personal touches to add on and update this home to make it a dream home in the country. 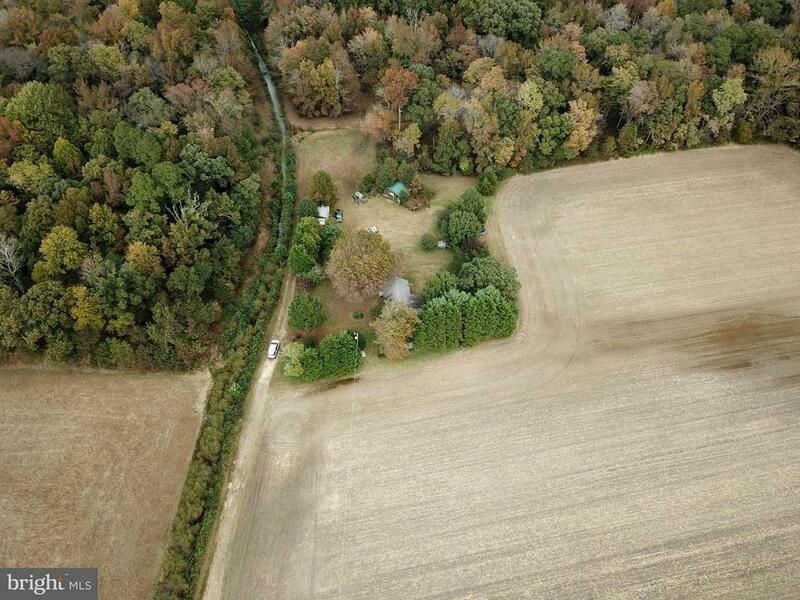 Detached outbuildings, chicken coop, dog kennels, mature trees." "IN TOWN, TWO STORY FARM HOUSE WITH AN ON PAPER ONLY, CITY STREET AND FLOOD RAVINE TO THE SIDE AND REAR GIVING EXTRA LAND AND A WOODED BUFFER COST FREE AND TAX FREE TO THE PROPERTY. FRONT BED ROOM COULD BE DIVIDED PROVIDING A THIRD BEDROOM. 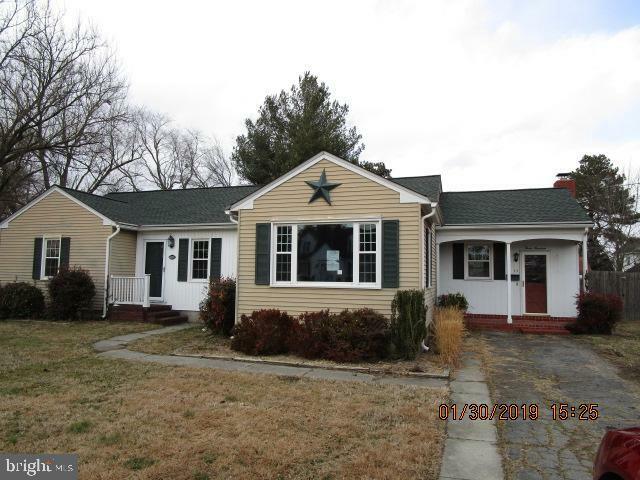 NEW ROOF ON FRONT, PAINT AND INSULATED WINDOWS"
"Spacious four square in Federalsburg! 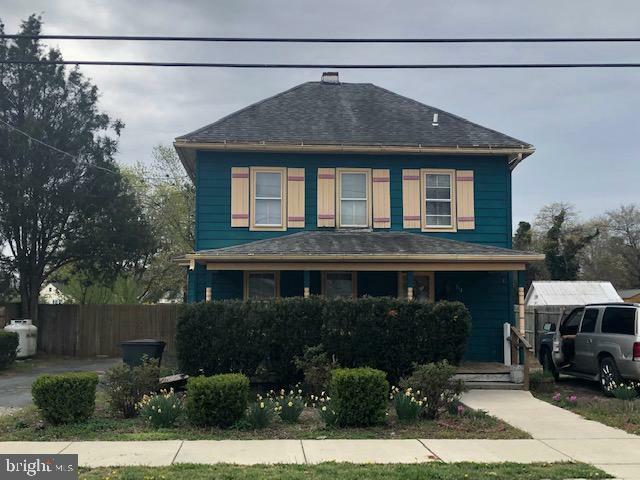 This home boasts three bedrooms, updates bath, large eat in kitchen, dining and living rooms as well as a fenced in back yard! Come have a look today!" 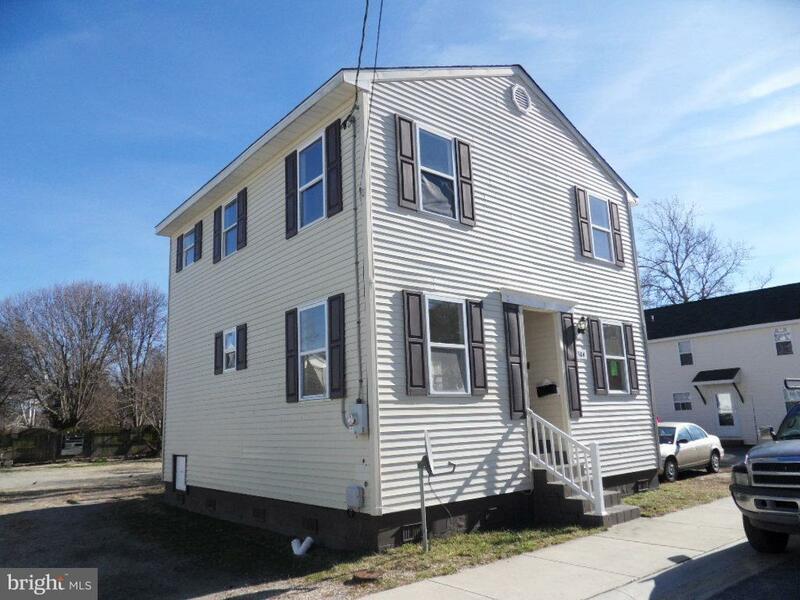 "2 story Colonial with traditional floor plan , new roof 2015, quiet neighborhood. Currently a rental." "Nice 3-bedroom 2 bath 2-story home. Recently renovated and has a new roof." "Pictures coming soon. 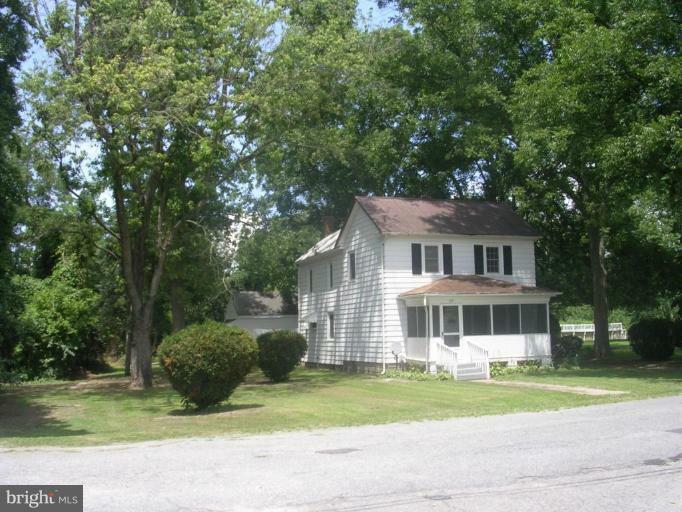 Small Price, Small Lot, Small Home, $53,500. First time listed, owner has relocated. Other room could be used as third bedroom or utility room."